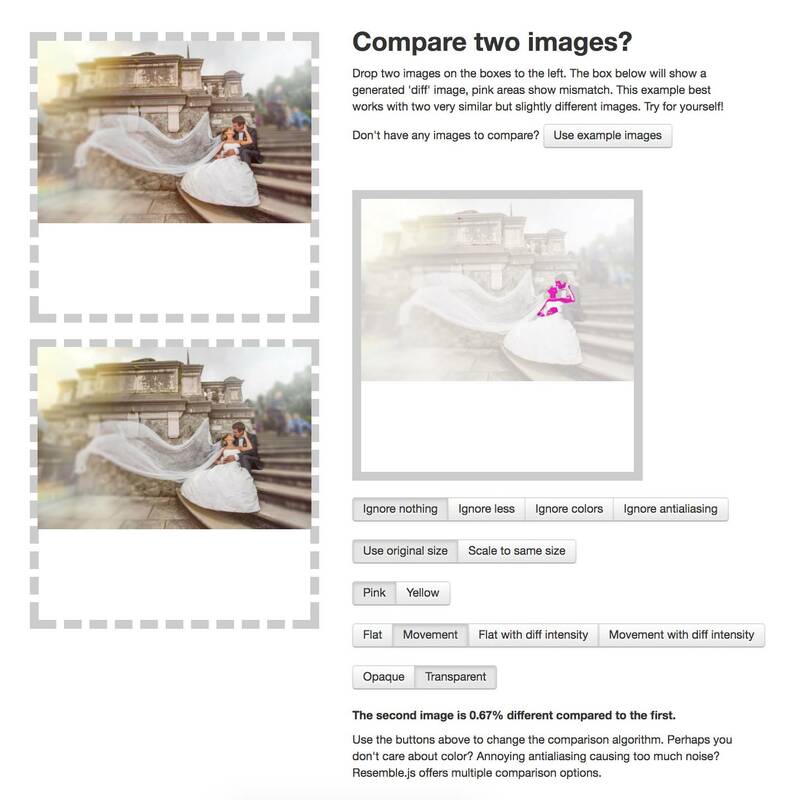 We're often asked for our recommendations for image optimization plugins. So we decided to run some official tests to determine what our preferred and recommended image optimization plugins are. For the tests, we focused on a variety of factors, which we will get into shortly. But we want to point out that the test's goal was not for SEO specifically, although it was a factor in the comparison. The goal was for a well-compressed image with minimal to no quality degradation. We started with what we are calling the "control" image. It's a professional wedding photograph which shows a bride and groom, movement, high contrast, a lot of color, skin, and texture. This photograph was picked as the control on purpose, to cover a wide variety of items that photographers would look for in a compressed image file. We initially started testing locally, using Local by Flywheel. However, it turned out that some of the plugins we tested required a live server on the Internet. So we wound up creating a development site on a high-end cloud server. Before uploading images we disabled the built-in WordPress image compression by using this plugin. We also kept all the image optimization plugins set to their default settings in order to keep a level playing field. Does it require an account or can it be used just by installing on your site? Is it a SaaS system (software as a service) or a standard plugin? Does it offer NextGEN Gallery integration? Does it offer multiple compression levels? What was the file size of the compressed image? What was the percentage of space saved while compressing? Does it offer a resize feature? Does it offer an EXIF stripping feature? Is EXIF stripping on by default? Is there visible image quality degradation? Does it offer WebP conversion? Is the plugin free or freemium? As you can see, we do not focus on SEO specifically, but there are items there which impact SEO. To determine precisely what parts of the control image changed from compression we used this tool. We also include EXIF stripping as a factor of our comparison because we believe that EXIF should be retained in all images for SEO purposes. This is a big deal. Many photographers already go through an image optimization and compression process when they save their photographs from Photoshop or Lightroom. But some plugins have a habit of re-compressing the image files, in turn ruining the visual aesthetic of the photo. Some plugins will overcompress but with an acceptible degradation. Some will not overcompress at all. ** Optimus will only compress up to 100kb without paying, so we could not use our control image at full size. We had to shrink it down to test. *** The plugin is available in two versions. The standard version was tested, but a cloud version also exists with additional features and reduced server load. The version we tested is disallowed on many managed hosting environments, including WP Engine. **** We tested this brand new plugin in its beta stage. From what they're advertising the plugin will remain free. Although it's not popular, as it's new, the price makes it worth investigating. We also looked briefly at two offline desktop apps, for fun. JPEGMini Pro which is extremely popular among professional photographers, and ImageOptim which is 100% free to use. The image you see below is the control image. If you'd like to save this image for yourself you can do so by clicking here or click save as. Now for the fun part. Each of the results from the plugins tests. Reminder: Smush will not compress the full-size image without paying, or offer common features without paying so we could not fully test this plugin. We also tested two offline compression apps, which many photographers utilize in their workflows. Want to see what each compressed image looks like? View the gallery below and click a thumbnail to view the images larger. Want to see what each plugin did to the control image? The gallery below contains a comparison of image quality loss between the control image and the compressed image. The areas in pink are what was changed in the compressed version. View the gallery below and click a thumbnail to view the images larger. You might be wondering why JPEGMini did not compress the control image at all. That's how the software is designed. It's not designed for SEO. It's designed to compress your images just until the point of the image having quality loss. It does not have an acceptible quality point level like other software. So it will never compress an image when the image is at risk of changing in appearance. You could argue that JPEGMini isn't ideal for SEO purposes, and you might be correct. What we recommend is for photographers to use the Imagify plugin. From our tests, we have found that it reduced the file size greatly, but maintained a great part of the image's aesthetics. There was no visible degradation to the naked eye, but definitely a loss visible through the comparison tool. It also will not overcompress no matter how many times you throw the same compressed image at the plugin. We feel that the plugin provides an even balance of image quality for aesthetics and file size for SEO. The pricing structure for the service is also affordable for what you get. However, if you want something reliable for SEO only. Meaning, reduced file sizes without concern for image quality, then check out WPCompress. Because it does a good job on that front, and it's free. But here at Imagely, we prefer Imagify. I purchased JPEGMini strictly to optimize images for my site, and I have been pretty disappointed in it. I guess I understand why now. I also have a free account on Imagify and have been impressed with its compression/quality compromises. Will the average person know that an image is over optimized, especially when a large percentage or people nowadays are viewing on their mobile devices? Depending on the photo, overcompressing will be apparent to the naked eye. Skin tones could change. I really like EWWW IMAGE OPTIMIZER and how it works with Nextgen. I use the free version on all the photography websites I build for my clients. Sweet and simple. When you say NextGEN Gallery integration, what does that mean. How does it integrate and can you use one that does not integrate with NextGen Gallery? The integration will be in the way of a WordPress widget that allows you to add any gallery type to a widget area and then edit it in the future. That means it can be used without page builders, or with page builders. As page builders typically offer means to use WordPress widgets within their builders. can I ask you what optimization method you used for testing ShortPixel? Was it Lossy or Glossy? Well, it was most likely Lossy then. That would skew the results of the comparison. @Scott Wyden Kyvowitz: Does it offer multiple compression levels? is set to no with Shortpixel but it does offer 3 options: lossy, glossy and lossless. For my website I make a lot of photo’s. I am a real pixel peeper on my 27″ monitor but to be honest…..on a website usually you only use images up to 1200 pixels wide. Without the original image to compare the normal visitor will hardly see the difference between a compressed and non-compressed image, even if you use the lossy option you used with Shortpixel. The question is what does the website owner focus on: more compression, faster loading time at a very small degradation of their images or less compression and slightly better images. You can see which of the plugins offers multiple levels of compression where we mention “Compression levels” being either Yes or No. Which plugin would you recommend that also optimises images in other folders? 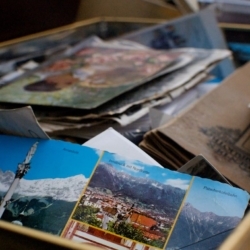 There are photos uploaded by users through Gravity Forms that live in a separate folder. Imagify doesn’t see them because they’re not in the Media Library. Not that I want to give up on Imagify, it’s brilliant. But if something is almost as good AND can optimise in other folders, it might be worth it. My clients previously had Smush and I’ve been disappointed by how big images still were after compression. Sorry, I already wrote a comment about this folder issue on an older Imagely blog post, then found this one. Thank you for the comparison and the advice! Some of the other compression plugins have a feature to scan outside image files. The compression might be too harsh at times, but it’ll do the job. 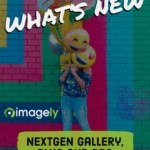 I would like to mention Imagify has been great for us. 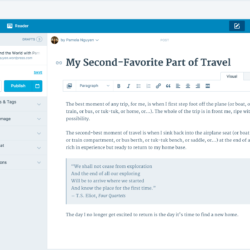 Work flawlessly and the tight integration and UX with the WordPress media library is such a joy to use. Hi Luke, thanks for the comment! We opted for the more popular compression plugins, with the exception of 1 newer free plugin which was in beta during the testing process. I’m curious how you determined that a plugin would “overcompress” an image, since Imagify comes up with over 3% of the image changed, and many of the others are less than that? Thanks for the comment. It’s quite simple, really. We compressed the image and then tested to see if the plugins would compress the image which was already compressed. If so, it’s overcompressing. What is the downside of just exporting JPEGs from Lightroom or Photoshop with the image downsized to a long edge of 2048px, as you suggest, and the quality setting set at 80%, and then importing the adjusted images into the NextGEN Pro gallery with a further downsizing to 1200px (a good size for the lightbox), quality at 100% (since quality was adjusted by Lightroom), and the original image backed up? Conversely, the Lightroom output could be at 100% quality and then adjusted to 80% during the NextGEN Pro gallery import. Looks like a pretty poor choice of sample images. Maybe great for a wedding photographer, but for wildlife – there is too little detail at a high enough resolution to be able to actually see how this would work for a close-up image of a bird, for example. Secondly, just as a personal requirement, I am NOT interested in web-based programs. Sorry – paying or not, I find the entire concept of having to upload my image to have it compressed beyond distasteful and fraught with problems! You can test any of these plugins with any photo of yours. However, with your comment – the photo we picked specifically is to show degradation in skin tones, which is the most important thing of the majority of photographs. Regarding web based or not. Looks like you didn’t even have a need to comment on this, nor read it, since you prefer an app. Check out this article instead.